This summer AlexAnna Salmon of Igiugig quietly agreed to join the newly formed Pebble advisory committee. The decision was not an easy one for the young leader and mother of six, especially after she saw what happened to Kim Williams. Williams was ousted as the director of Nunamta Aulukestai, and the Bristol Bay Native Corporation board of directors threatened a recall vote for her board seat there before Williams resigned from the committee. 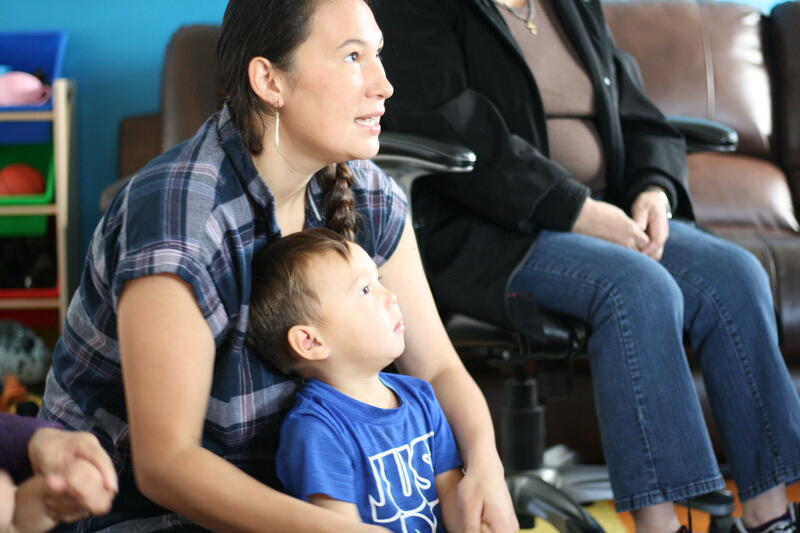 Salmon serves as the Igiugig Tribal Council president, and has trailblazed on initiatives to develop renewable energy and revitalize the Yup’ik language and culture in the village of 70. The Dartmouth graduate was invited to President Barack Obama’s roundtable discussion with Alaska Native leaders during his visit 2015 to the state, and was praised by U.S. Sen. Dan Sullivan early this year on the Senate floor for helping strengthen her community and make it an incredible place to live. Igiugig, which sits at Iliamna Lake’s outlet to the Kvichak River, is paradise and a perfect place to be, she said. A Pebble Mine could bring a lot of change to her village and others around the Lake, including Nondalton, Newhalen, Kokhanok and Pedro Bay. “Imagining a mine of that size … it’s just, I’ve read it in the surveys, I feel it in my heart, I’ve told them myself, when it comes down to it, of course fish first, we all rely on fish, but we are here because we like it just the way it is. You cannot get this anywhere else in the world,” she said. Salmon is stepping past the mine’s organized opposition, who have made it clear there will be no discussion that allows for the possibility of a mine, to join the advisory committee. William Johnson, Kim William’s father and a longtime commercial fisherman, also is a member. Others include Alaska Native leader Willie Hensley, conservationist Jim Maddy, former Vice Chairman of the Joint Chiefs of Staff Gen. Joe Ralston, and former principal deputy assistant of the U.S. Army Corps of Engineers Terrence “Rock” Salt. Pebble is not a project she supports. Most of her neighbors don’t either, she believes. But she earned the community’s backing to join the committee when she explained that the deposit lies on state lands set aside for mineral development and is now on track to enter a permitting process. “You have a company that says they spent $150 million up to this point, they’re not going to walk away from that. It seems illogical to go after the company that has the rights to develop it, they’re not going to just go home,” she said. Since joining the advisory committee, Salmon has peeked behind the curtain and seen the plans Pebble will put forward. The mine will be much smaller, she said, and the company intends to show that any fish habitat near the Koktuli River that will be disturbed can be mitigated or perhaps even added to. Hers is to make sure that Igiugig and other villages around the Lake have a bright future that is not determined only by the mine developers. For Salmon, that means coming inside and taking a seat at the table. Iliamna Lake residents have long felt like the “annex” of a Bristol Bay headquartered in Dillingham, she said. Past Levelock, none of the communities are included within the Bristol Bay Economic Development Corporation’s jurisdiction. 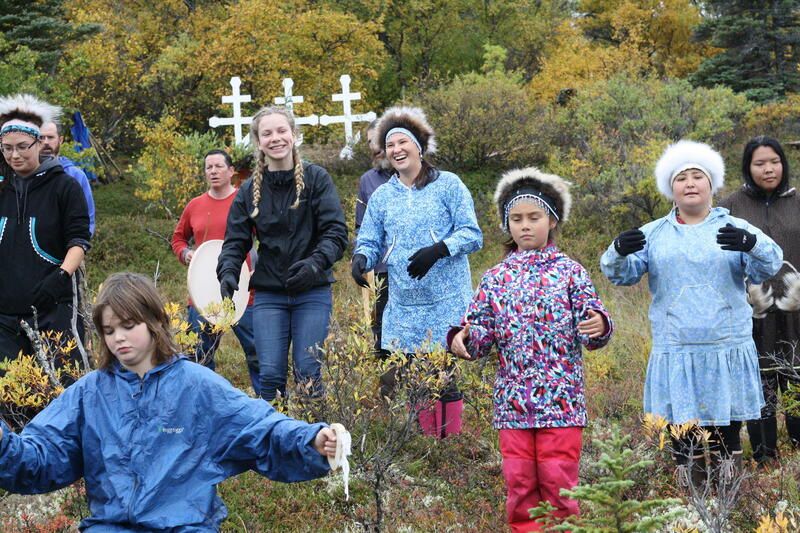 That means the 70 residents of a village like Igiugig watch two-person villages like Portage Creek and Ekuk soak up massive amounts of funding, including an annual $500,000 block grant. She criticizes the short-sightedness of the CDQ program to leave out the Lake villages, who have also now left the Bristol Bay Area Health Corporation for the Anchorage-based Southcentral Foundation. Salmon is not sure what is coming next, or if Pebble Mine will be permitted, and if so what that will mean. That’s why she intends to weather the slings and arrows of her critics and stay on for now as an adviser. “I cannot be bullied. There’s nothing I have to lose,” she said.